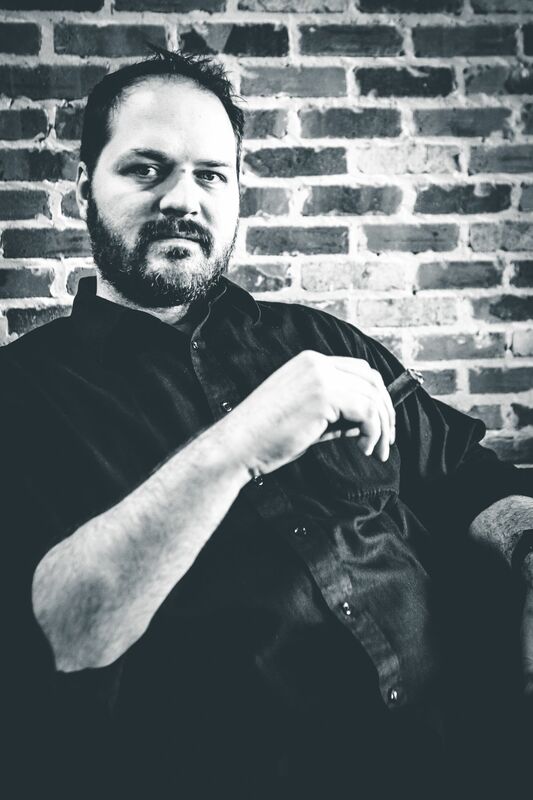 There seems to be a big push for larger ring gauges in the cigar industry and cigar manufacturing companies are taking notice. Macanudo, America’s best-selling premium cigar brand, is adding two new large-ring frontmarks to its lineup. 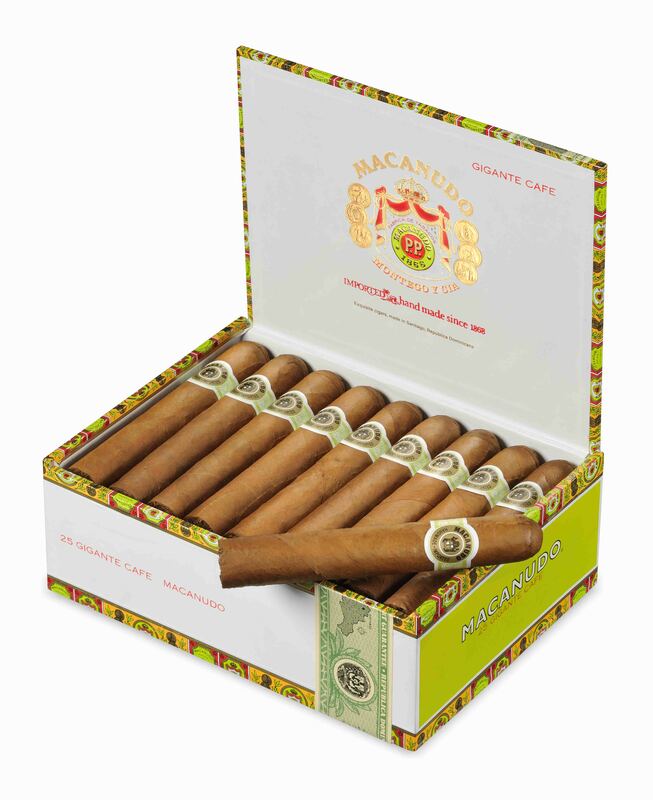 Making their retail debut this week are Macanudo Café Gigante and Macanudo Maduro Gigante. Created in response to consumer demand for large-ring offerings, both the Macanudo Café and Macanudo Maduro Gigante cigars measure 6” x 60. Each will be packed in a 20-count box and sold for an SRP per cigar of $7.99, or $159.80, SRP per box. “Macanudo fans have told us they get more bang for the buck out of large ring cigars, so we came out with the Gigante frontmark to round out the Café and Maduro lines. With so many cigar smokers reaching for large-rings these days, the new Gigantes are sure to become top-sellers,” said Bill Chilian, director of marketing for Macanudo. Outstanding graphics and commentary, with the ultra-hype so many unwisely profer. 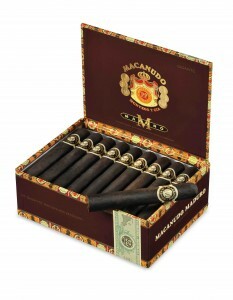 I gotta get a box of the Maduro Gigante Mac’s-just as soon as I can find enough beer and pop bottles to pay for it. Reading your archives is an excellent educaation for me. 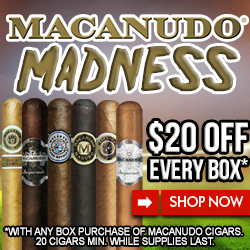 I just re-started smoking cigars last january, and a lot has change in the last 28 years, But Macanudo is just as good today as they were then, and I’m glad to see you carry them at such a reasonable price. 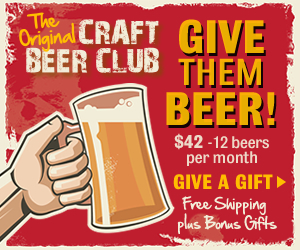 Do you have a club like Thompson and Cigar.com?